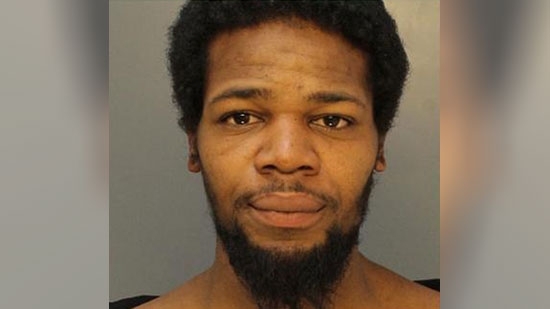 A Center City man has been arrested after he allegedly kicked a pregnant woman when she did not given him money. 31-year-old Omar Palmer faces a number of charges including aggravated assault on an unborn child. It happened on February 11th outside the Dunkin Donuts at 11th and Arch Streets. The woman told police that Palmer asked her for $2. When she told him she didn't have any money, he attacked her. The woman was taken to Hahnemann University Hospital for observation. Authorities are investigating after a man shot his wife and then turned the gun on himself in a New Jersey rehabilitation center this morning. It happened around 8 a.m. at Jefferson Health Care Center's Sub-Acute Rehabilitation Unit on Egg Harbor Road in Sewell, NJ. The Gloucester County Prosecutor's Office says that 76-year-old Raymond McKenna shot his wife, 74-year-old Arlene McKenna. Raymond then shot himself. He died at the scene. Arlene was taken to Cooper University Hospital and died there. Arlene was a patient at the facility. An investigation in under way. A North Jersey school district has decided to add armed police officers to its schools. A statement on the school district website reads in part, "At its February 15, 2018 Meeting, the East Brunswick Board of Education unanimously approved a resolution to engage the East Brunswick Police Department to have armed police officers at all of its schools throughout the entire school day to insure the safety of our students and staff." The armed police officers will supplement the existing staff of 71 security guards, all of whom are retired police officers. The decision comes in the wake of last week's school shooting in Parkland, FL that left 17 dead. Also, last week a high school student was arrested in East Brunswick after posting a terroristic threat online. A parent and a student reported the post to officials.